The closest historical equivalent to San Francisco may be Renaissance Florence, where a series of structural, economic and cultural conditions aligned to produce a once-in-lifetime situation. 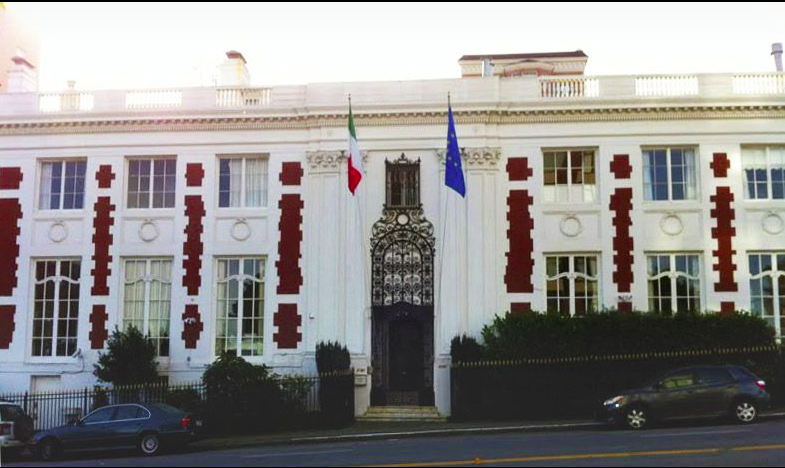 The Consulate General oversees a vast area, from Hawaii to Alaska, Seattle to San Jose. At its hearth lies San Francisco, the “Golden City,” and of course the Silicon Valley. Our conversation with Consul General Ortona cannot fail to start from this point. You came to San Francisco less than a year ago. This is the world capital of innovation. How have things been so far? I find this city absolutely fascinating. It has an astonishing concentration of brains and innovative spirit: famous colleges, the biggest hi-tech firms and the highest concentration of venture capitalists in the world. It’s defined by its unique capacity for capitalizing on applied research. The closest historical equivalent may be Renaissance Florence, where a series of structural, economic and cultural conditions aligned to produce a once-in-a-lifetime situation. As consulates, we do everything we can to help Italian companies and universities engage with and learn from this situation. However, we know it’s unlikely that the ‘spirit’ of San Francisco can be replicated in Italy—or any other country for that matter. It comes from the culture. Is the cultural factor really that important? I’m convinced of it. Just think of the expression “serial entrepreneur,” which you hear a lot here. A serial entrepreneur starts various companies in his career, the majority of which have failed, and keeps going, learning from his errors, creating new situations. Failure is obligatory here; people are proud of their failures, because they make people stronger and prepare them for success. Where else can you find a business culture that doesn’t scare at failure? Is that why this area is a symbol of global mi- gration, of mobility without borders? It’s Silicon Valley’s main asset. Major technology companies are globalized and view global migration as an excellent opportunity. We’re talking about total mobility that isn’t confined to human resources and goods, but to capital, production and services. What role does Italy play in this context? We’ve contributed a lot to its development. Think about all the of Italians who came here as early as the 1970s and became legends in the business and hi-tech world: Federico Faggin, the inventor of the Intel 4004, the first microprocessor; the venture capitalist Enzo Torresi, who in the early ‘70s founded the Advanced Technology Center Olivetti in Cupertino; business leaders like Pierluigi Zappacosta, who cofounded Logitec with Daniel Borel and Giacomo Marini, currently the CEO of Neato Robotics. Since the 1970s, a lot of young researchers and engineers have moved here. And in successive decades the phenomenon blossomed, in part because the entrepreneurial and occupational situation in Italy is improving. In the last decade Italian immigration has picked up again. In the last five years we’ve observed a steady increase of people registering with AIRE (the Italian Resident Abroad Registry). Academic programs like the polytechnic institutes of Milan and Turin provide science training held in high esteem here. Graduates from those schools are received warmly by universities and companies here. What can Italy do to capitalize on this burgeon- ing reality and ensure it has a return benefit? We have to undergird the so-called “country system.” In my view, two things are needed. On one hand, we need to build a more organized network of Italian brainpower in the Bay Area. Making that network available to Italian companies would be essential, especially for innovative small and medium-sized companies that could find precious resources here: human resources, information resources, and eventually financial resources. On the other hand, my dream is to help create a permanent Italian center in Silicon Valley, like the French and Swiss have, a tool for Italian companies—startups as well as small and medium-size companies—to gain exposure to innovation. A place where people can work, gather, attend innovative startup presentations, circulate ideas for projects, and meet venture capitalists. In short, an engine for innovative processes. Generally speaking, how have Italian institu- tions integrated into the social and cultural fabric of this city? 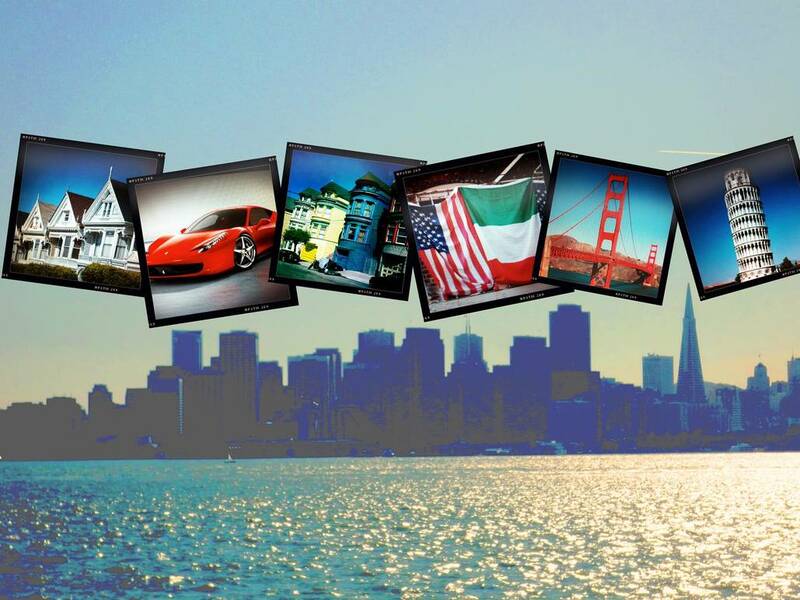 In San Francisco, as in the rest of the US, Italy is in high demand. Perhaps what you observe most, given the atmosphere here, is that this demand tends to be linked to a traditional image of Italy, which doesn’t always reflect contemporary reality. When you try to explain to people that there are world-class hi-tech, mechanical and aeronautic enterprises in Italy, they’re stunned. And also quite interested. I think it’s important to try to surprise the public by showing them Italy isn’t all about tradition, but innovation too. Last February’s Scene with ShyBot, an exhibit organized by our Italian Cultural Institute and an association for experimental art called The Lab. The Italian artist Norma Jeane worked with electronic engineers to make a robot equipped with a video-camera and programmed to retreat at human touch. This “shy” robot was set loose in Palm Desert, from where it sent The Lab a stream of fantastic images from its point of view—a far cry from the human perspective we’re accustomed to. The exhibit was really intriguing, widely popular, and contributed to the important discussion about the limits of robots. Another, in a certain sense more traditional, initiative that comes to mind is the Week of Italian Cuisine in the World. Last November we invited the “butcher of Italy” Dario Cecchini to San Francisco to give a few lectures. One thing that sparked great interest here was his story about how Italian butchers traditionally tend to use the whole pig or cow. Nothing is thrown away. That spoke to the heart of a society firmly attached to not wasting food. Remember, the roots of Slow Food were formed here, when Carlo Petrini met chef, author and activist Alice Waters, the current vice president of Slow Food International who studied at the University of Berkeley in the 1960s and was influenced by, among others, the young Italian leader of the Free Speech Movement Mario Savio. What are your most important future projects? We’re working with Paolo Barlera, the director of the Italian Cultural Institute, on a lot of projects. 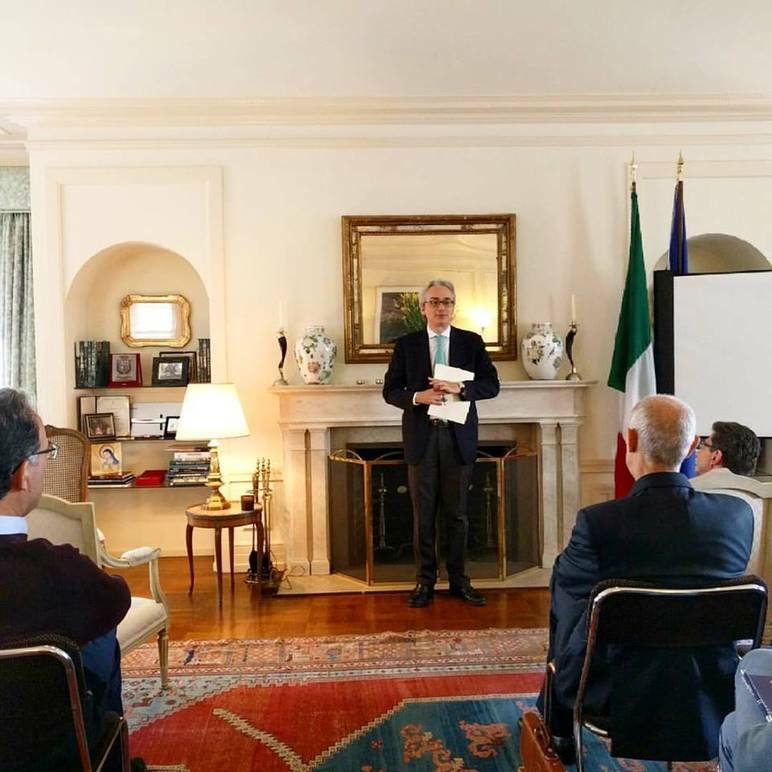 In the fall there’ll be a big Enrico Fermi exhibit a part of a series of events about research and innovation sponsored by the Italian Embassy in Washington on the 75th anniversary of the first nuclear chain reaction, which initiated the atomic age. Fermi has many students in California. 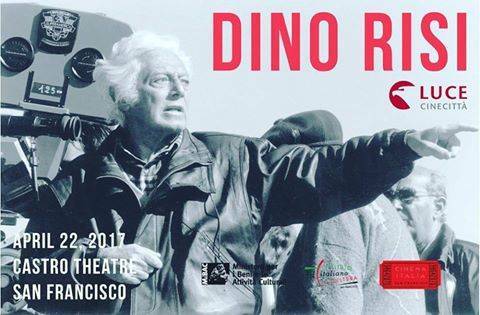 This spring our classic film festival pays homage to the comic master Dino Risi. In November we’ll be showing contemporary Italian cinema. Film is important here. We’re in the adopted city of Francis Ford Coppola and the cradle of cinematic innovation, from Pixar to Netflix. I’m also working on a collaborative project with Google to create a show about Italy based on virtual reality technology. 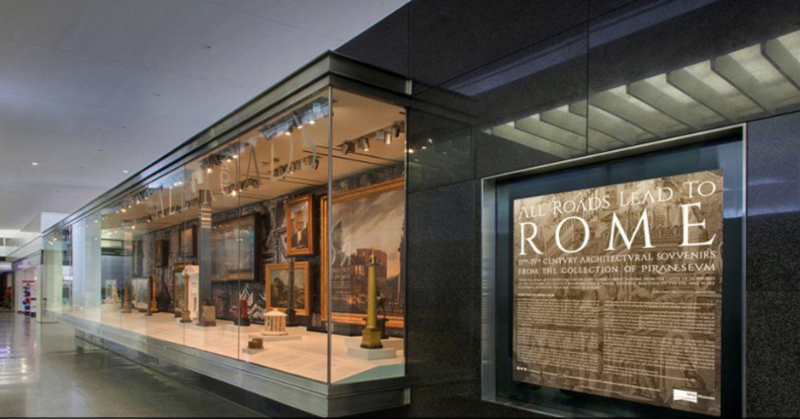 It’s a series of virtual travels through the country with a strong educational component catered to children and adults. Your heart seems set on the most innovative initiatives, which speaks to the spirit of this city. San Francisco is the home of “think outside the box” innovation. We’re trying to adapt.